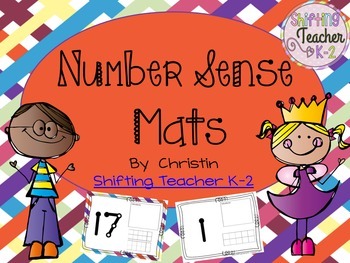 I made these mats for my kids to use in a Math Station to practice building their number sense skills. They will use play dough to make the number representation, tens frames and the tallies. 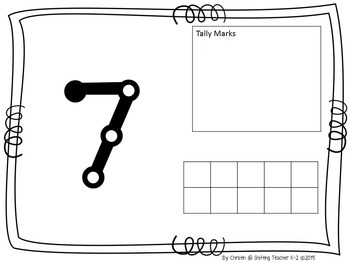 You could also use manipulatives and dry erase markers to write on these boards once laminated. 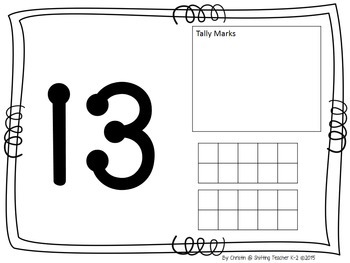 This product has numbers 1-20 in both black and white (to copy or print on colored cardstock) or color (to copy on white cardstock). I’d love to hear from you. Please consider leaving feedback here on TpT – you receive credits you can then use towards other purchases! You can also visit my blog to see how I use this in my class and share your feedback!